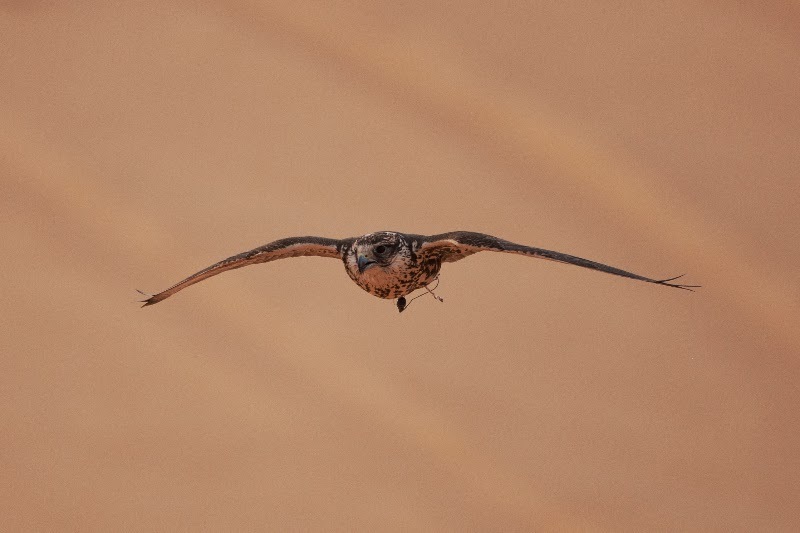 On Phil’s latest camping trip to the desert he went with a number of locals who had a falcon with them and was told that it was a Saker. The falcon was flown to give it exercise and Phil took a couple of photos of it whilst it was in action. Phil mentioned that as the bird was flying straight towards him taking the photos was slightly easier than normal. 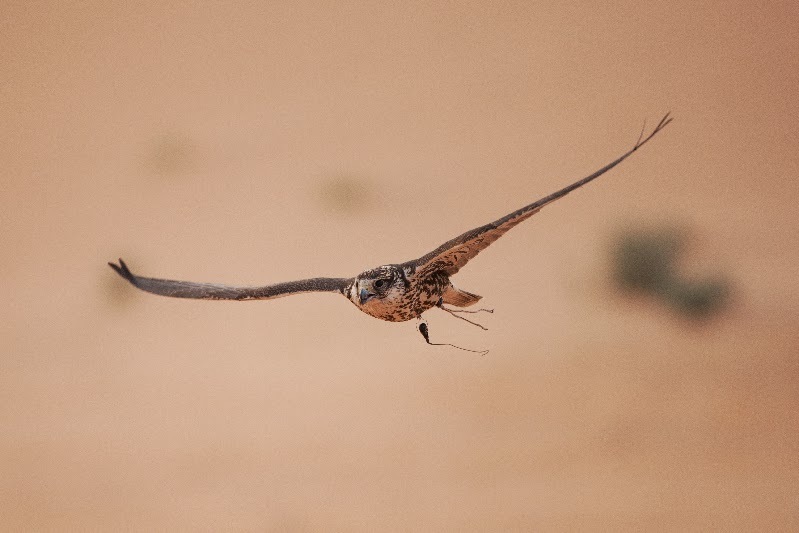 Falconry was once the pastime of the rich in Saudi Arabia but now many local people own falcons with the hunting season from October to March ad most falcons being either Saker or Peregrine both of which command a high price when bought or sold.